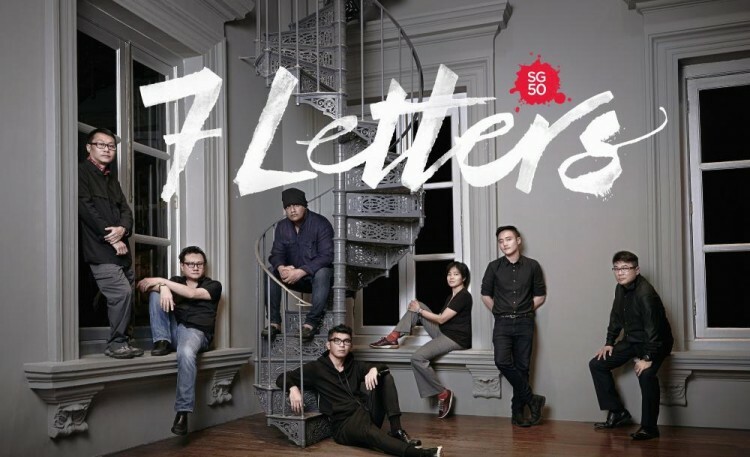 7 Letters is a collection of 7 short films by Singaporean directors Boo Junfeng, Eric Khoo, K. Rajagopal, Jack Neo, Tan Pin Pin, Royston Tan and Kelvin Tong. Fundamentally a celebration of home, the short films orbit this theme with fascinating coherence and touching individuality, offering one of those rare collections of stories which build off rather than compete against each other. In all honesty I attended the screening with some ambivalence. ‘Singaporean’ works of art have on occasion struck me as somewhat heavy-handed in their treatment of our national identity and I wondered if the films would come across the way I interpreted some of the publicity: aesthetically pleasing but somewhat pretentious, framed in the token-nostalgic but largely mystifying location with a bright SG50 to boot. Watching 7 Letters turned out to be an immensely humbling experience for me, for which I am grateful. Each film treated its subject matter with genuine affection and ‘local’ issues were woven into the stories with varying degrees of subtlety but an enduring sense of purpose. Parting by Boo Junfeng was a deeply nostalgic piece to do with memory and loss. The film is notable for the skill with which it wove personal drama with reflections on what some viewers interpreted as a reference to Singapore’s separation from Malaysia in 1965. Conceptually, the non-linear progression was effective in creating the persistent sense of loss that undergirded the piece as well as lending sympathy to the drama -from demolished landmarks to changed faces, images conveying this sense of loss emphasised the difficulty of the Protagonist’s search for memory in a world that had utterly changed. Sinema by Eric Khoo was possibly one of the most cleverly conceptualised in my opinion and an affectionate take on “the golden era of Singapore filmmaking”. The strength of this piece lies in its ability to reference familiar tropes -as evidenced by the immediately recognisable low-budget film-in-a-film, complete with word-art-like opening title, jerky cinematography and tacky Pontianak -and re-work them with affection and humor. Keenly aware of the narrative tropes it played off as well, the film as a whole was able to create strong parallels between its plot and construction, conveying across multiple levels the idea that what lends value to stories is a freshness defined not by utter separation from what is past but rather a meaningful engagement with history. The Flame by K. Rajagopal was a compelling tale of family drama catalyzed by historical currents and the most narratively compact of all seven films. The film precipitated a collision of its four main characters with efficiency and vigour, allowing the key tensions of their struggle to be played out with sustained intensity. This efficiency was also apparent in the dialogue, which was tightly tethered to these tensions throughout, conveying through silences and stilted exchanges the unspoken concerns of each character. That Girl by Jack Neo opened with a sequence that had me turning to my friend with a whisper of ‘confirm Jack Neo’ which was met with a suppressed laugh and a nod. Plot and thematic concerns aside, the film in itself is capable of evoking nostalgia for those of us who might see in it echoes of films such as I Not Stupid and Homerun. Crucially, however, the ‘local’ elements in this film were able to seem less like gimmicks and more like parts to a comprehensively -if a bit too deliberately -constructed whole, lending heart to a sweet if somewhat predictable story. Pineapple Town by Tan Pin Pin was another film which audiences saw political undertones in, with some reviewers outright labelling it political allegory. Personally, I admired it for a very clean, down-to-earth style which I felt granted the most autonomy to the plot. The strengths of this piece lie in a complete independence of the story from narrative ‘enhancers’ and subtly balanced depictions of different character types (the middle-class lady and literal coffee-shop aunty, for instance). Bunga Sayang by Royston Tan was a sweet and heartfelt story of friendship, one of my favourites for its balance of sentiment and humour. Reviewers seem to have mixed reactions to the film’s blend of the naturalistic with the whimsical and at times outright surreal, which was fun if somewhat confusing. I personally felt that the defining aspect of this piece and its greatest strength was a deeply feeling but understated quality to the storytelling. The friendship which emerges between both protagonists is made all the more compelling by the fact that their loneliness elsewhere and genuine fondness for each other is largely implied and at most articulated on occasion by timing and facial expressions. Grandma Positioning System by Kelvin Tong was remarkable for how well it worked, with my friend and I agreeing that it was “by far definitely the tackiest but possibly the best”. This film managed even to outstrip That Girl in its use of stereotypes and Sinema in its use of tropes, but was nonetheless deeply enjoyable, again for its blending of heart and humor. Most remarkable to me was the skilful construction of the family dynamic which was deeply compelling in the way it lent depth and dignity to a series of tropes that were often simultaneously touching and comical. Perhaps the best way to encapsulate the spirit of this piece would be the reactions my friend and I had to its ending, which we both agreed should have made us cringe but actually had us crying. On the whole, 7 Letters was a truly admirable show and one that I would recommend. I believe there is something in it for everybody, and as someone who views any art specifically marketed as “Singaporean” art with immense skepticism, I am grateful for this humbling reminder that there is art out there which explores local themes with intelligence and insight. 7 Letters will be having a short run at Golden Village and tickets are available online at their website.